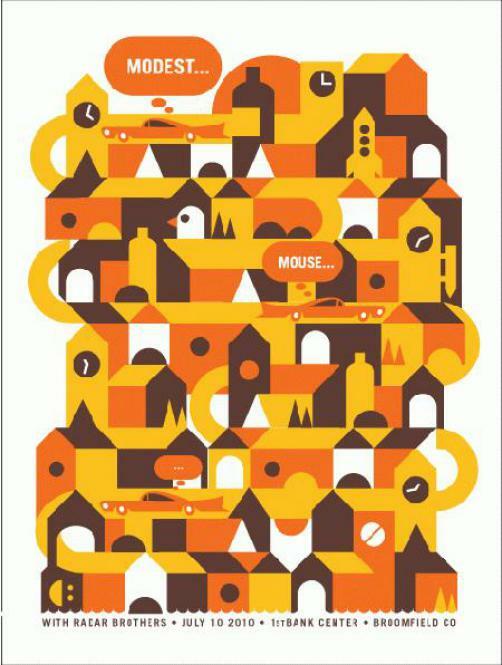 Original concert poster for Modest Mouse at The 1st Bank Center in Broomfield, CO in 2010. Mint condition. three color silkscreen signed and numbered of only 275 by the artist Dan Stiles.